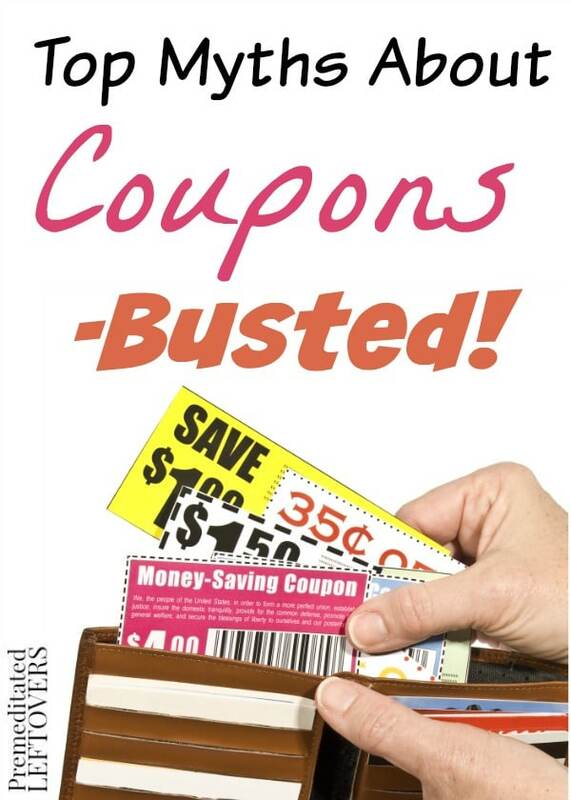 Top Myths About Coupons - Busted! 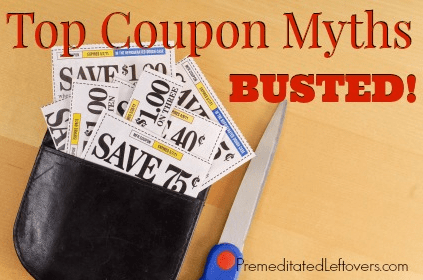 You are here: Home / Deals / Top Myths About Coupons – Busted! 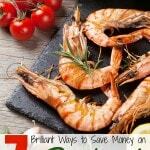 Top Myths About Coupons – Busted! I was in your boat about 2 years ago. 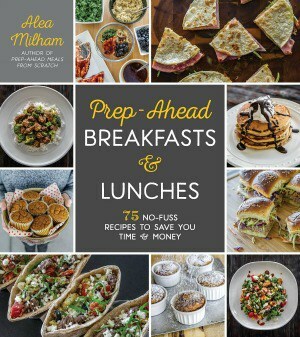 I was so full of excuses on why couponing was not for me. I watched “Extreme Couponers” and dreamed of saving money like they do, but thought they were a tad on the crazy side. I decided to give it a try. I don’t know why, but it just seemed like maybe I wasn’t giving this couponing business a fair shake and by doing that, I was missing out on something big. I had all these excuses listed below playing like an over played pop song in my head. I took the plunge and I haven’t looked back. This one was a huge one for me. After seeing the couponers on TV, and the hours they put into price-matching, clipping and looking for coupons, I thought it would never be worth my time. After trying it out in my own life, I can tell you that I spend less than and hour or two a week on this. I get emails from the major grocery stores in my area when they have deals, I am easily able to match up the coupons I want to order with sales. You can use the Favado app to find the best sales at all of your local stores. This is a lie you may also be telling yourself. I live in a “No-Doubling Zone” and let me tell you, I can regularly save at least 1/3 off my shopping trip. The most I ever saved was around 75%! It is just a matter of matching coupons with sales. I can even get things for free here on occasion. Even the Dollar Tree takes coupons now. Also, there is a local store here that usually every 3 months or so rounds coupons up to the nearest dollar. Many stores allow you to stack coupons by combining a manufacturer coupon with a store coupon. Or by combining an ecoupon with a store coupon. Here are more details on how to stack coupons to maximize your savings. 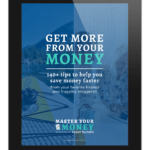 SavingStar – Here is how Saving Star eCoupons work. Checkout 51 – Here is how to use Checkout 51 from your computer or Smart Phone. Ibotta – Here is how the Ibotta App works. This may be practically true, but it is certainly not always. You would be amazed that I have gotten coupons for meat, produce and even spices. 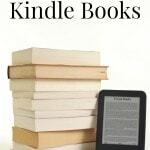 Recently, I have also seen a lot of coupons offered for organic and even gluten-free items. Don’t let this excuse stop you. You can even coupon for non-food items. This is where I find I save the most, actually. I regularly get free or almost free razors, deodorant, toothpaste and toilet paper. You should not snub a coupon no matter what the amount. While it is true the higher ones may save you more immediately and most noticeably, the small ones can really make a difference as well. Remember that 75% savings I told you about? I got 4 FREE rolls of paper towels in that order. How did I do it? I went when my store was rounding coupons up to the nearest dollar and those coupons I used were for 25 cents off a roll of paper towels. Those same paper towels happened to be on sale for a dollar each. So 25 cents rounded up = $1.00 off a roll. Each roll was only a dollar, so that made them free! Even if you don’t have a store that does this rounding up, after using 4 coupons worth 25 cents each, you have saved a dollar. That can add up to hundreds of dollars a year, my friend! So, stop telling yourself it isn’t worth your time or isn’t for you. I was once there, and now, I save hundreds a year on groceries, cleaning supplies, toiletries and more!